Hello and welcome! This past Sunday's New Moon in Pisces was not only new, but included a solar eclipse. That's a lot of positive, intuitive energy that will be with us for the next six months. It's a perfect time to examine what is and is not working in your life, revisit goals and determine what you want your life to look and feel like. The possibilities are endless! Identify and release whatever is no longer serving you in order to make space for that which you desire. Endings and new beginnings abound. I know the word "endings" can hold an ominous connotation, but what if the endings have to do with your perspective? While it may be time to quit your job to pursue your dream career, move to another location, or distance yourself from a friend who does not support you, it may also be time to take a few steps back to widen your view and determine whether or not you can open yourself to seeing the situations differently. Maybe you can make changes, no matter how subtle, that create shifts in perspective. Perception, awareness, and wondering "what if" are all key! 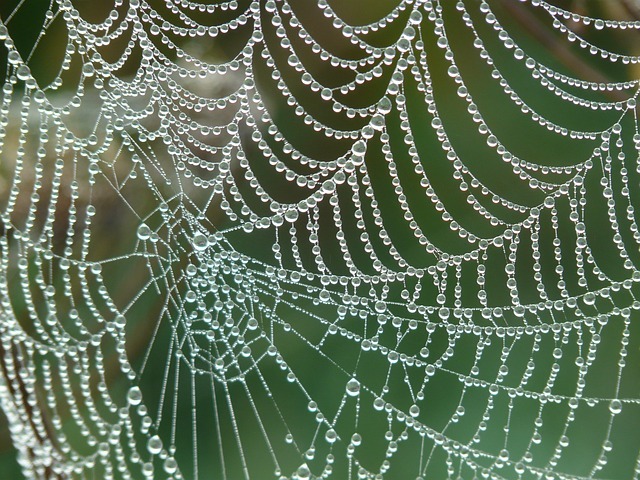 See the image of water droplets on a spider's web? Can you perhaps see that something typically perceived as menacing may also be appreciated as a fragile wonder created by a being of nature? Friday, March 17, 1:30-2:30p, $10 - Would you like to begin or resume your meditation practice? Learn about the importance of grounding and how to find that peaceful place within, balance your energy centers and access healing energy. Contact me for details and to register. Check my website for future dates. Interested in a Private Session? You are welcome to visit my website or contact me for more information and to book an appointment. Sessions typically last two hours. Whether you are in transition (what's next? ), feel "stuck," wish to know your life purpose, are suffering from trauma or anything that just doesn't feel good, please consider booking an appointment. I take a transformative healing approach, using any and all resources, training & experience in order to help you heal on every level. Distant sessions available, too! You are receiving this email because you have had a session, attended a class or made an inquiry. I have no wish to be a nuisance so please feel free to Unsubscribe if you are no longer interested in this subject matter.